There are many posts on this website, and many others stressing the use of renewable energy. But the point is, When you can so easily extract energy out of fossil fuels, then why fuss so much about the renewable sources of energy? When your car runs very well on the petrol or gas, then why spend efforts researching other types of fuels. Well, that’s because, contrary to non-renewable resources, the latter comes from naturally replenished resources and thus turning out to be never ending. Although not fully developed at present, tidal energy seems to be a very promising renewable source of energy for the future. Unlike other renewable energy sources like wind, solar and wave energy, tidal energy is the only one depending somehow on the natural satellite of Earth – the moon. Tidal energy is a form of hydro-power (which makes use of water possessing potential or kinetic energy) which converts the energy of oceanic tides into some other form of energy (usually electricity) that can be harnessed for useful purposes. Given the modern computer calculators, its easy to predict the location and strength of the tides with high accuracy and thus, we know where to place the tidal power generators. The image shows the working of Tidal Power Station, and the concept of the tides going in and out. The origin of tides can be traced to the Moon and Sun which are continuously changing their position with respect to the Earth. Thus, their gravitational pull on bodies situated on Earth varies continuously as per the distance dependence of gravitational force. Due to these periodic variation in their gravitational attraction , there is a temporary increase in the water level in some parts of the ocean. The bulge then, due to pressure difference, moves towards the shoreline. That is why tides are created invariably throughout the year, thus making tidal energy qualified enough to be called as a renewable energy source. Tidal steam generators are the simplest way to form tidal energy. It makes use of the fast moving water to power turbines which in turn, produce electricity. On the other hand, tidal barrages exploit the potential energy, arising as a result of height difference between different tides, of oceanic water. As a tide comes in, dams made specifically for the purpose, divert the temporary increment in tidal power into large potential energy storages. Turbines later release this water creating electric power by using generators. Though a renewable source of energy, tidal energy nevertheless has some environmental issues. The blades of the turbines rotate at such lightning fast angular speeds that any sea organism accidentally entering them is usually hurt to death. Constant rotations may change the regional water currents which combined with noise making engines forces local fish breeds to leave the area. Even the lubricants and chemicals used, if leaked out, have the capacity to harm the aquatic life. Thus, marine life is highly taken care of while placing tidal power generators. Along with it, the generators themselves prove to be highly challenging because of their large size and the depth which they have to be placed in water. Suspended constantly in salt water and attacked by running water, the metal of the blades and generators start corroding. Thus, they have to be covered by expensive protective alloys. This way the required high quality corrosion resistant alloys and other factors highly increase the capital investment in generation of tidal power. Efforts are being made to make it cost-effective and normalize the economic and environmental effects for example dynamic tidal power is a new technology that promises to largely increase the effectiveness of tidal power generation by harnessing both the potential and kinetic energy of the waves. Research shows that if properly harnessed, tidal energy can satisfy a very significant percentage of the world energy needs. Is it too much? The buzz about renewable energy? Probably, Yes. But surely, the need of the rising population demands much more. It demands not only articles, but work on the ground. These non-conventional sources of energy provide us many alternatives for the production of energy, let it be solar or hydro or tidal. While some of them are largely in use, like solar power, Others like tidal power can be researched upon, made better and then bring into actual usage. Currently, there are some tidal power stations in the world, which are running successfully in South Korea, France, Canada and other countries. 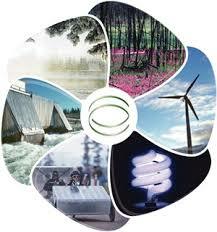 At the same time, there are proposals for other power stations in other countries as well. Although these are contributing to the production of energy, but more focus should be laid upon the other alternatives of energy. Solar power sector has great potential in a country like India. While bringing in more and more solar panels, at the same time, research should be continued in other sectors and they should be brought into practicality. It is the time to move away from the conventional coal and diesel and to move onto further resources for energy. There is enough energy contained in the gigantic oceans. The need is to explore it, bring it into proper use and try to conserve the environment.